More and more, consumers are being conscious of the environmental impact of their purchases. They are calling for businesses to be more responsible and reduce their environmental footprint. Because of this, companies are taking steps to go green. A common way these companies are doing this is by being more eco-friendly with their packaging. 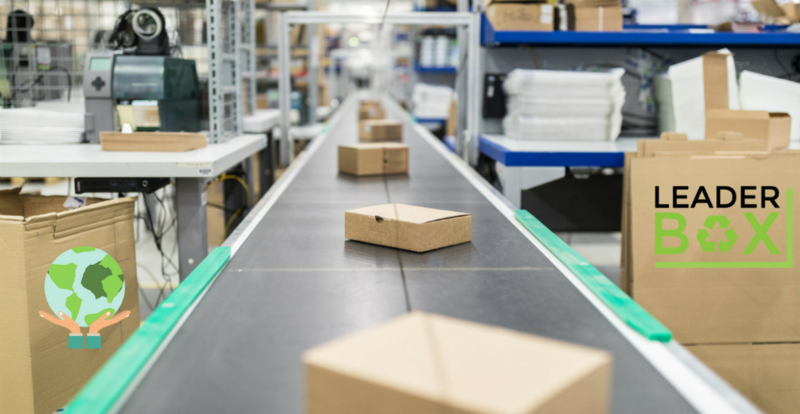 How Can Your Company Be More Eco-Friendly with Packaging? One huge way to go green with packaging is to reuse shipping boxes. Most shipping boxes are still in good shape after they have been used once, so you can use them again. This will help reduce your waste, and it will also help your company save money. Another way to be more environmentally friendly with your packaging is to buy used shipping boxes. Just as we discussed above, boxes can be used more than once. If you buy shipping boxes, you can get them for a more affordable price, and you are reusing materials. One final way to go green is to sell your used boxes to us. If you only used your boxes once, and you don’t have any need for it, sell it instead of recycling it. We will make sure your used boxes get used again before it’s recycled. This will cut down the total amount of boxes being used and the waste that goes along with it. What Reusable Packaging Looks Like with Leader Box Corp.
At Leader Box Corp., reusable packaging and eco-friendly practices are two things we feel really strongly about. This is because our business has been built on these practices. For years we have been buying once-used boxes from companies and selling them to other companies at a great rate. We do this because it is a way for our customers to save money and save the environment at the same time. If you are looking to buy used corrugated boxes from us at Leader Box, it could help your company to be more environmentally friendly. It could also help you save money. You can also sell us your once-used shipping boxes,, and we will make sure they get reused before they get recycled. Leader Box Corp. believes in being good to its customers and good to the environment. That is why we do things like sell used shipping boxes. If a corrugated shipping box has only been used once, it is probably still in good shape. At Leader Box Corp., we check used boxes to make sure they are in good condition, and if they are, we reuse them by selling them to you. You get affordable boxes, and we both help the environment, so everybody wins. If you would like to learn more about our used boxes or how we can help your company go green, contact us today!